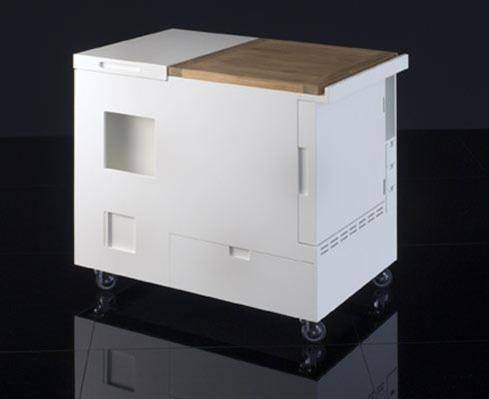 The Minikitchen Produced by Boffi, this compact and miniature kitchen is by far the most avant-garde when it was designed by Joe Colombo in the 1960s. 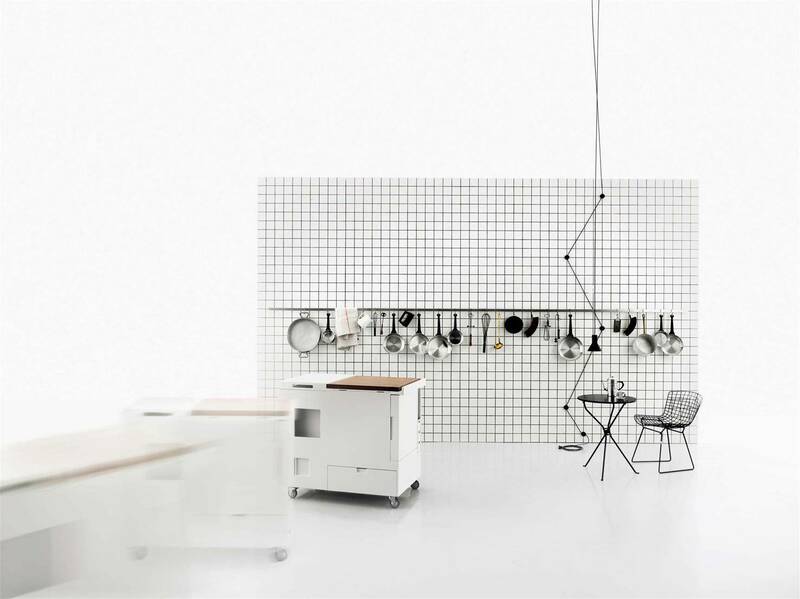 The concept for the Minikitchen by Joe Colombo is visionary: this is a one-piece self-contained with all the features of a classic kitchen, electrically powered and which occupies half a cubic meter. Minikitchen Boffi anticipates the times, is a tale of today's society despite Joe Colombo designing it in the 1960s, this is a clear symptom of the genius of those who did not only have the ability to interpret an era but also to imagine future trends of living. 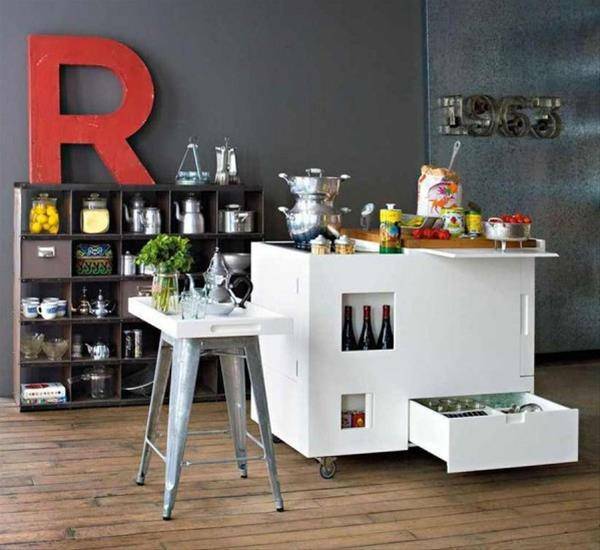 A freestanding kitchen with fridge, stove, containers, drawers, work surface, cutlery and sockets for home appliances, which seems to be designed for contemporary environments, often in small dimensions, open spaces such as lofts or sharing as in a co-working. 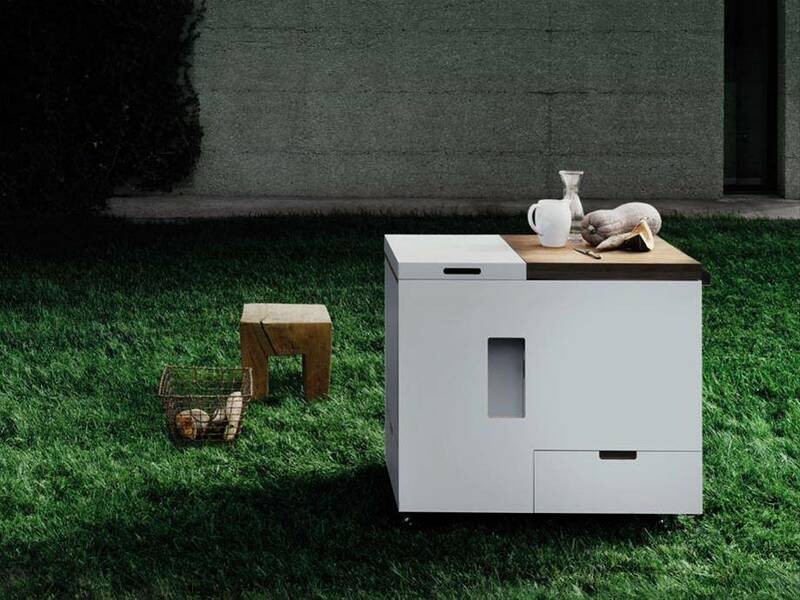 Today, this compact mini kitchen is produced by Boffi in outdoor and Corian® versions, but despite the technical solutions adopted, what is striking is the complete lack of formal and conceptual changes to the original design, now more than ever. 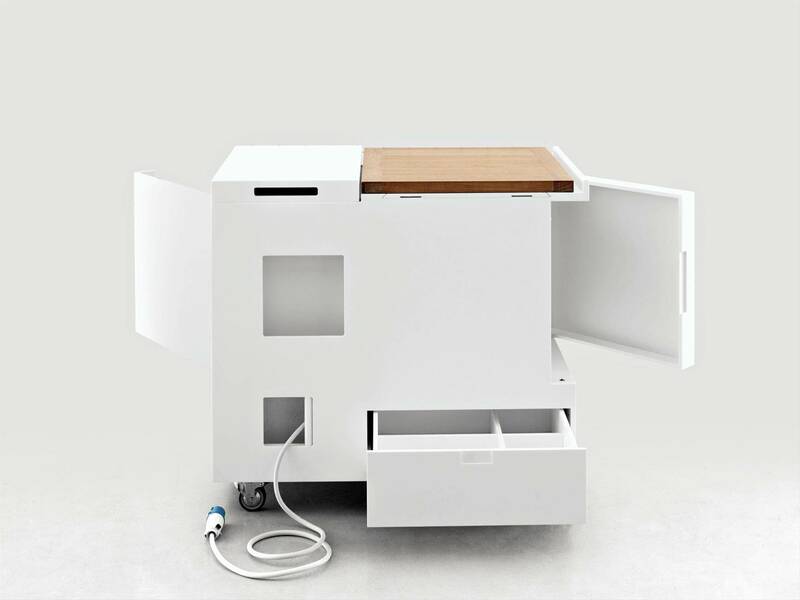 It won the silver medal at the XIII Triennale of Milan and today the original version is exhibited at the MoMA in New York, part of the permanent collection of one of the most important design museums in the world.. There are few projects that after half a century remain contemporary and the Minikitchen produced by Boffi and designed by Joe Colombo is one of these.